Brazolet installation fittings with PVDF insert for the GF Signet 2551 insertion style Magmeter and the 515, 2536 & 2537 paddlewheel flow sensors. We are offering Stainless Steel Olets to our client. Pressure Grade: 3000LB SCH40 SCH80 STD XS6000LBSCH160XXS Material Carbon Steel: A182 A105 Stainless Steel: A182 F304, A182 F304L, A182 F316, A182 F316L, A182 F321, A182 F310, A182 F309, Alloy Steel: A182 F12, A182 F11, A182 F22, A182 F5, A350 LF2, A350 LF3 Size: 1/8" ~ 20"
Application: Petroleum, gas, chemical, power,shipbuilding, metallurgy, construction, etc. 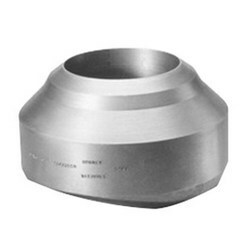 We manufacture and export Stainless Steel Olets and our range includes 15 NB to 100 NB in 3000 LBS, 6000 LBS, 9000 LBS available with NACE MR 01-75. 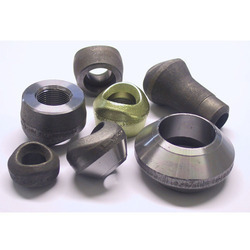 High quality olets in different sizes and specifications with wide range. We can manufacture olets as per drawings. We are the leading supplier of weldolet.